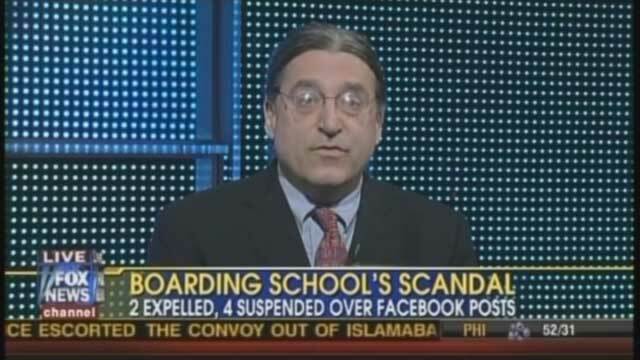 Officials at an elite boarding school in Connecticut have banned the use of Facebook after discovering a catty online conversation about alcohol and some of the students' promiscuity and the school, Choate, went even further expelling 2 girls and suspending 4 others. Is this the right way to crack down on bullying or is this political correctness run amok? Here with both sides: Norm Pattis, a trial attorney specializing in civil rights violations, and Theresa Tomeo, an author and radio host.